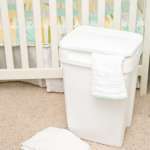 We recommend renting at least one diaper pail with your diaper service package. If your baby will be cloth diapered in a daycare setting, consider renting an additional pail for your day care provider. 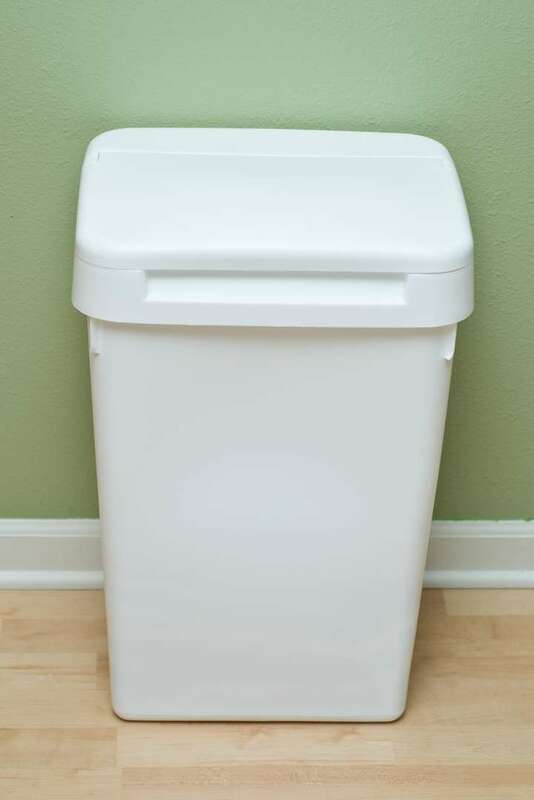 Our 24” Tall Diaper Pail is very sturdy and features a removable, easy-open lid. Our diaper pail lids include a specialized slit in the back for scented discs. Odor containment has proven to be one of our diaper pail’s most successful components! Your diaper pail rental fee includes citrus-scented deodorizer discs. You will receive one free per month upon request. 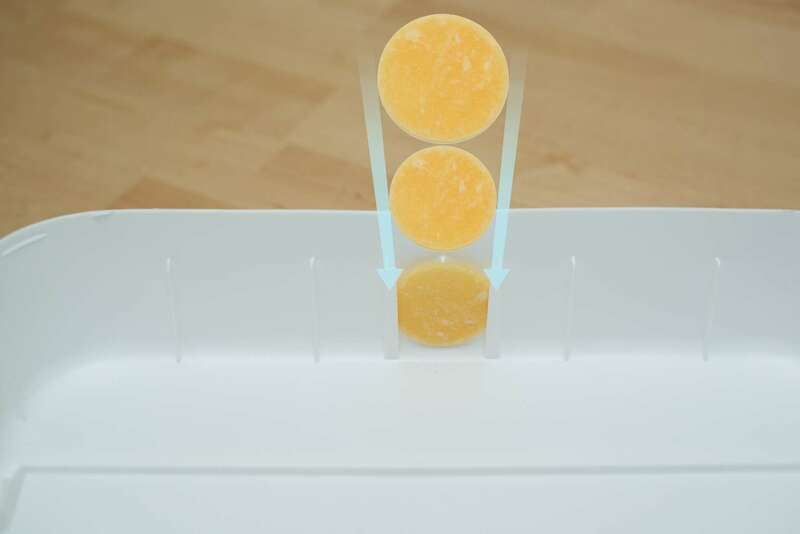 The deodorizer disc slides into lid. Look for the little slot along the back rim of the lid and slide the disc right in. 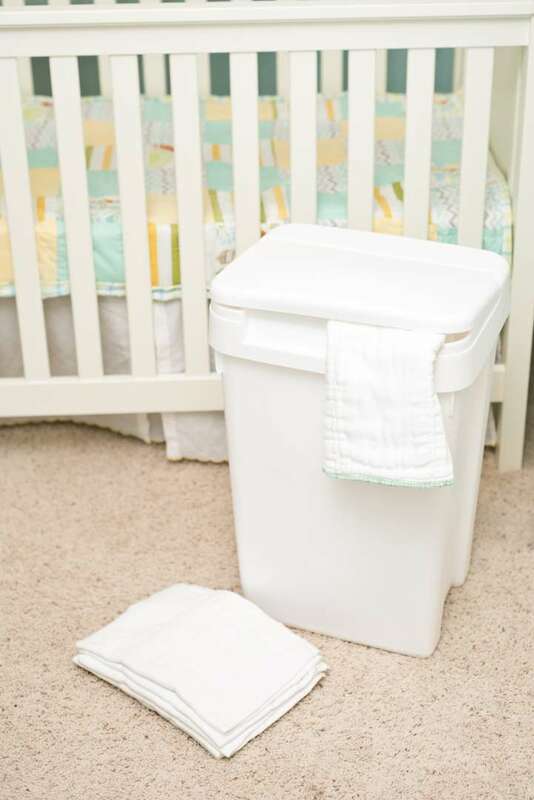 Lining your diaper pail is easy! Simply line it with the blue bag that your clean cloth diapers are delivered in weekly. 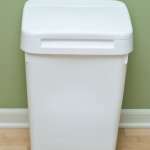 One-time rental fee of $20.00 per diaper pail when you purchase one of our diaper service packages. Included with your diaper pail are monthly citrus-scented diaper pail lid discs. With Mother Nature’s Diaper Service you leave all the washing to us! You do not need to worry about rinsing or soaking the soiled prefold cloth diapers, all-in-two insert diapers, or cloth baby wipes rented through our service. 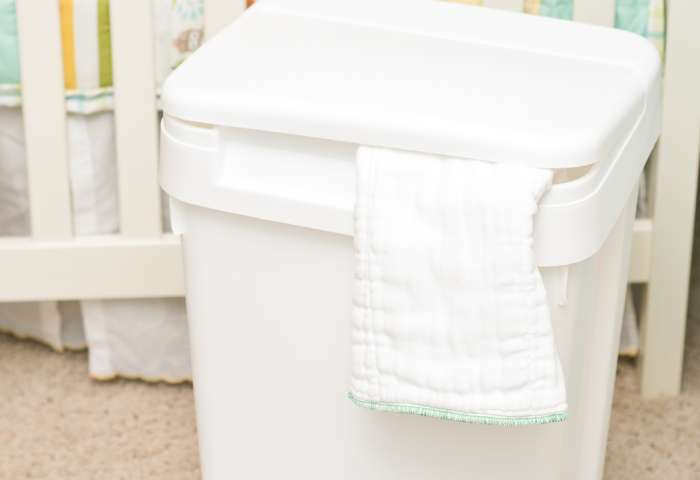 Simply, place your soiled diapers and/or cloth wipes in the bag that lines your diaper pail after each diaper change. We do ask that you “plop” any plop-able poop in the toilet. And, do be careful not to drop disposable baby wipes, disposable liners or other garbage into the pail with your wet/soiled diapers and/or cloth wipes. On pick-up day, tie your bag of dirty cloth diapers and/or cloth wipes securely and place it on your porch or predesignated pick-up area. We will take care of the dirty work!